Click to see more sites Lingo likes! Kids love to learn about science through action. When kids see a mentos drop into a bottle of cola, or watch a hydrogen balloon explode there’s just something about science experiments that puts them in awe. What’s even better is when they can see the launches, explosions and other experiments in s l o w m o t i o n! After finishing your science projects, watch your children learn to read through an immersive online reading program at Reading Kingdom’s magical land of literacy. Our award-winning learning software is the only reading platform that teaches children to read using the patented “Integrated Six Skill Method” needed for literacy success. 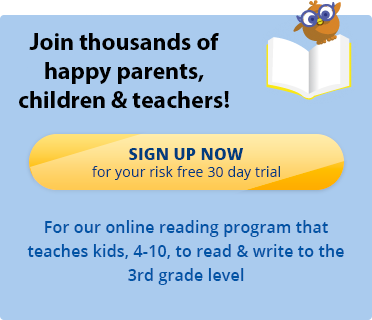 Read testimonials from hundreds of parents and teachers, then click here to sign up for a free 30 day trial. Lingo and company hope to see you soon!